Getting married anytime soon? You should actually have a theme in mind by now. Well, if there is none yet that you can think of, why don’t you spark up unique ideas with a Disney-themed wedding? The thought of it is undeniably way too exciting, and you surely could not wait for your dream wedding to happen. You would definitely want to be a Disney princess for a day just like how you imagined yourself as a kid being in magical dresses and enchanting balls. And of course on your wedding day, your prince charming finally awaits you for your happily ever after. Try looking into these Invitation Templates and might want something you could use! Can you just imagine your dream wedding turning into a reality? If you grew up wanting everything to just be as magical as you watch it on Disney, you could actually have them all on your wedding day. A lot of preparations need to be done for this dream wedding. 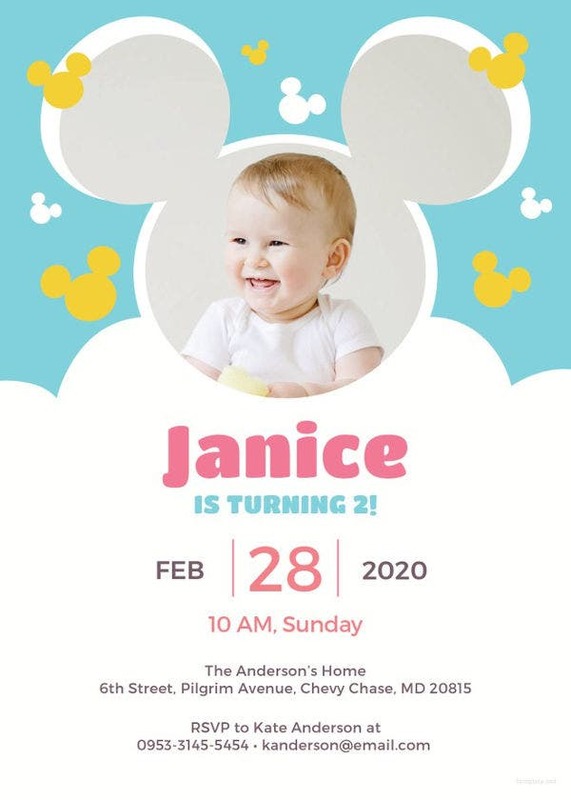 You might want to check on these Disney Invitation Templates and see if there’s something that complements all of your ideas. Consider these few suggestions if you push through with your childhood dreams on your wedding day! Pick a theme. Your favorite Disney movie could be the theme for your dream wedding. You will finally get to see your favorite movie come into life. The best part? It’s about to happen on your wedding day. Pick magical details. Just as magical as it all appears when you were still a child, you might be inspired to pick out details that mean a lot you. You could really make use of anything enchanting on your wedding day. Explore options. Wouldn’t it be beautiful to see all the Disney princesses on your wedding day? While you have a theme picked out for your, you could always try on other options of combining all Disney movies. You will need to start on a few important things before you get to the details. First, you will need to start working on your invitation letters or cards. Anything you call it, just make sure it is done with your best and your creativity as well. You could actually try Funny Wedding Invitations and stir up curiosity with your guests. They will eventually find out when they come. Frozen Disney Wedding Invitation. This theme sounds really childish, but what if the bride happens to have the same name as any Disney princess? What if both of you want a “winter wonderland” theme for your wedding? What if the cold never bothered both you and your future spouse? She could be Elsa in Frozen, and you can finally spark up your creativity from there. 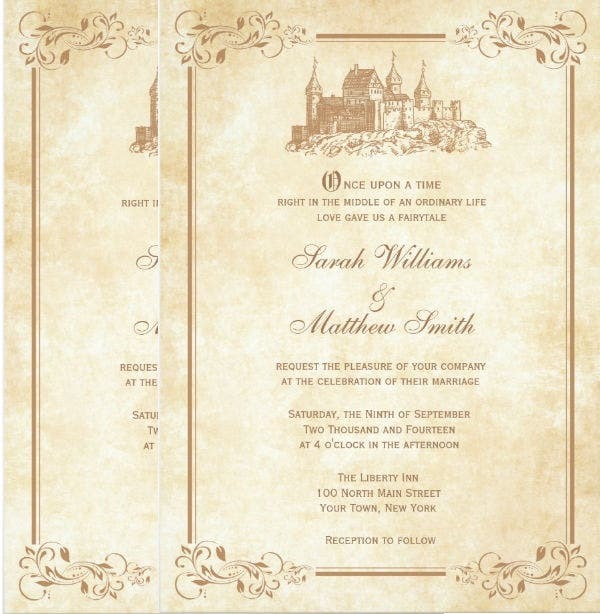 Disney Castle Wedding Invitation. When you might want to sound like you’re inviting your guests to your castle on your wedding day, think of this invitation card design. Think how glamorous and filled with splendor you wedding would sound like when you invite your guests with this invitation card? You might as well show them the castle in your invitation cards. 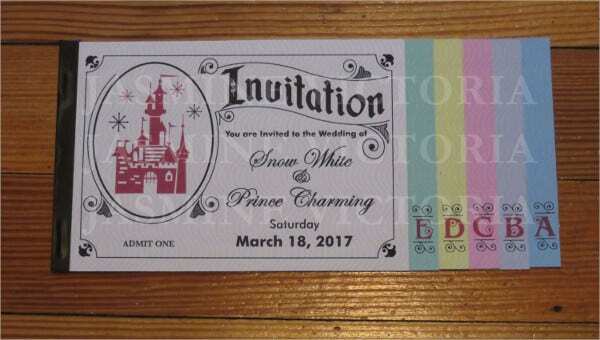 Disney Fairytale Wedding Invitation. For a fairy-tale dream for a princess or the bride, she might want wedding invitations that resemble a scene straight out of a fairy tale. Make sure it looks enchanting and magical at the first glance. You will enjoy your wedding day with a Disney-inspired theme. It will make you remember so much of your childhood that is finally turning into reality on your wedding day.